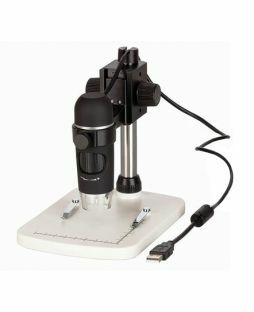 Explore the microscopic world with the MicroWiz USB microscope that connects to a computer. The MircoWiz microscope includes software that allows you to view, edit, animate and even measure samples. The microscope has the mobility to come out of its base for the viewing of larger or possibly live samples in their natural habitats.